As a member of a Concordia College athletic team, you have chosen to become part of an NCAA Division III program with a long history of successful athletic performance, but more importantly, a tradition of developing people who excel in all aspects of their lives. Over the course of your career here, I hope you will have numerous opportunities to talk with your coaches, your teammates, and our faithful alumni about what Cobber Athletics have meant to them. We trust you, too, will become successful here and that you will do everything in your power to represent yourselves, our programs, and the college in the best possible manner. With the privilege of participating in collegiate athletics comes the responsibility of adhering to guidelines intended to help you perform at your best. This handbook has been written to provide you with an understanding of the guidelines with which participants in athletic programs at Concordia College, in the Minnesota Intercollegiate Athletic Conference (MIAC), and NCAA Division III agree to comply. Should you have any questions or concerns regarding the policies outlined in this document or the presentation of them, please feel free to talk to your coach/es or to schedule a meeting with Rachel Bergeson, our compliance officer, or myself. Best of luck as you begin your new season. 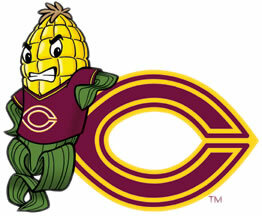 Go Cobbers! The purpose of Concordia College is to influence the affairs of the world by sending into society thoughtful and informed men and women dedicated to the Christian life. Intercollegiate athletics provides an important avenue for many students at Concordia College to embody this mission. Both the Athletic Department and the student-athlete have obligations in fulfilling this mission. Concordia College is committed to providing our student-athletes with the opportunity for the best possible athletic and educational experience. The Athletic Department has an obligation to provide essential leadership by employing coaches who believe in the development of people as well as athletes. Our primary concerns are for the student-athlete’s academic progress, helping student-athletes realize their potential for team success, and providing an environment that nurtures Christian values. In return, the student-athlete has an obligation to the athletic program and the college. The student-athlete must participate according to MIAC and NCAA rules and regulations. The student-athlete must also comply with college and departmental policies and academic requirements. The student-athlete must demonstrate respect for his/her teammates, coaches, and the college. The student-athlete is expected to compete with honesty, demonstrate good sportsmanship, and perform to the best of his/her ability for the success of the team. Meeting mutual obligations is a key ingredient in maintaining the quality and distinction that have marked Concordia College Athletics. The Minnesota Intercollegiate Athletic Conference strives to guide, govern and support fair and equitable athletic competition and promote student-athlete welfare among its members. We recognize and celebrate the important contribution competitive athletics can make to the quality of an education experienced in a context in which the academic program is paramount. Colleges and universities in Division III place highest priority on the overall quality of the educational experience and on the successful completion of all students' academic programs. They seek to establish and maintain an environment in which a student-athlete's athletics activities are conducted as an integral part of the student-athlete's educational experience. They also seek to establish and maintain an environment that values cultural diversity and gender equity among their student-athletes and athletics staff. k. Support student-athletes in their efforts to reach high levels of athletics performance, which may include opportunities for participation in national championships, by providing all teams with adequate facilities, competent coaching and appropriate competitive opportunities. 1. Possession, consumption or sale of alcoholic beverages. 2. Possession, consumption or sale of illegal drugs. 3. Persons who are intoxicated. 4. Violent, abusive or obscene acts, including group or individual yells and signs. 5. Obstruction of the game or any activities related to the game. 6. The discharge or use of any weapon or threatening use of any kind of weapon, including firearms (including cannons), swords, bows and arrows, sling shots, knives and bayonets. 7. The possession or use of fireworks, explosives, incendiaries, or dangerous chemicals. 8. Any activities that are disruptive and/or threatens the safety of the participants, officials, or spectators. 9. Any action that results in damage to college or personal property. 1. All vehicles (expect ambulance) are restricted to authorized parking areas. 2. Only authorized personnel are permitted on the field, playing floor or sidelines before, during or after the contest. Those authorized include the cheerleaders. 3. Artificial noisemakers are prohibited except instruments used by musical organizations playing at a contest when game the game is not in progress. 3. A student must be enrolled in at least a minimum full-time program (not less than 12 semester or quarter hours) and maintain satisfactory progress toward a baccalaureate degree at Concordia. If a student enrolled in less than a full-time program is eligible to compete only if he/she is enrolled in the last term of their degree program and carrying enough credits necessary to finish their degree. 4) To be eligible the second semester of the first year, the student must accumulate 12 credits (3 courses) in the first semester. 5) A student-athlete must complete his/her four seasons of participation during the first 10 semesters in which they are enrolled. a) A student must accumulate 24 credits (6 courses) in the previous two semesters of attendance immediately preceding the semester of participation. Summer school credits can be utilized to meet this requirement. b) The MIAC counts all intercollegiate competition as a season of eligibility (i.e. ; practicing beyond the first game or "red shirting" counts as one of the four seasons). Injury waivers and other exceptions can relinquish this rule. 7) Transfer Student - a student who has not Previously Participated in intercollegiate athletics and who transfers from a two-year or four-year collegiate institution to a Division Ill institution shall be immediately eligible, under the Association's transfer regulations, to compete for the Division Ill institution, including NCAA championship competition. If the student has ever Participated in intercollegiate athletics. the student must have been academically and athletically eligible had he or she remained at that institution. Further, a student who has ever participated in intercollegiate athletics and transfers from a four-year institution to a two-year college, and then to the certifying institution, also must have been athletically and academically eligible had he or she remained at the Previous four-year institution or must have successfully completed the two-year Program. The transfer student must also meet the 24 credit MIAC rule listed above. Regular attendance and participation in class is critical to a student's success at Concordia College. Because any absence, excused or unexcused, detracts from the learning experience, students are expected to attend all classes. Concordia College also values the educational experience afforded by student participation in co-curricular activities. As a result the following articulates a policy that encourages responsible decision making on the part of coaches, directors, activity coordinators and students participating in co-curricular activities while also assuring that students are allowed to participate in co-curricular activities. In the case of illness, the student should notify his/her instructor and the residence hall director. In the event of serious or extended illness, or family emergency, the Student Affairs Office should also be notified. Makeup work may be required for any absence. Students should note that their grade in a course may be affected by excessive absences. Students who participate in college-sponsored activities (e.g., intercollegiate athletics, choral and instrumental groups, forensics, mock trial, Concordia Language Villages, and department-sponsored activities) should be notified by their coaches, directors, or activity coordinators of the dates of scheduled absences as early as possible. (This information should be available before students register for classes.) Students should notify their instructors of scheduled absences at the beginning of the semester, or as soon as that information is available to them. Faculty and staff who are responsible for coaching, directing or coordinating college-sponsored activities should provide students with the dates of scheduled absences as early as possible in the semester, and provide faculty with verified rosters and dates of scheduled absences at the earliest point possible. If exact dates are unavailable, the number of scheduled absences and their approximate dates should be provided. To the extent that coaches, directors and coordinators have control of the number of scheduled absences, they should be prudent in the number of absences they require of the students. In any class, under normal circumstances, students should not miss more than 10% of the total scheduled class periods because of a college-sponsored activity. If scheduled absences in a class will exceed 10% of class meetings, the faculty or staff member responsible for coaching, directing, or coordinating the college-sponsored activity should submit the activity schedule to the Academic Procedures and Policies Committee for approval prior to the start of the semester (if possible). Decisions of the Academic Procedures and Policies Committee may be appealed to the Dean of the College. If the schedule is approved, students should be allowed to complete missed work without penalty. Faculty will determine what kind of make-up work is required for absences, and whether the work is to be completed before students' departure or upon their return. If class attendance is factor in determining the final grade, students should not be penalized for missing these classes. If class participation is a factor in determining the final grade, faculty should allow students to fulfill the participation requirement by some other means or at some other time. If a student chooses to participate in more than one college-sponsored activity, and will miss more than 15% of the meetings in any class, that student should consult with her/his instructor as soon as she/he becomes aware of this situation. The student should recognize that a grade penalty may result from this number of absences. Faculty or students should bring to the attention of the Committee on Academic Procedures and Policies any college-sponsored activity which, in their opinion, has scheduled an excessive number of absences. Programs which, in the opinion of the Committee, persist in over-scheduling, will be reported to the Dean and the President. The Concordia College Athletic Department recognizes the use of alcohol and illegal drugs as a significant problem on college campuses, and for many student-athletes, resulting in negative effects on behavior, relationships, academic performance, and the overall learning environment. The use and misuse of these substances also affects athletic performance as well as team morale. Although we realize that problems with alcohol and other drugs are not confined to student-athletes, they are of special concern to us because of the high visibility and additional social pressures athletes often face as representatives of our institution. The Concordia College alcohol and other drug policy applies to all student-athletes throughout the academic year as written in the college directory. Violations will be handled by the college according to the Social Responsibility Penalty Guidelines, and the Athletic Department Committee has the right to impose additional penalties if deemed appropriate. There shall be no use of alcohol or other drugs by anyone in any form at practices, games or during team travel from the time the team leaves campus until the team returns to campus. This also applies to any other student personnel associated with the athletic program during these times. 1. There can be no use of alcohol or other drugs at team meetings, dinners, or banquets. 2. No alcohol or other drugs can be provided to or made available to recruits and prospective students. Any athlete or student personnel associated with the athletic program found in violation of any of these policies will be subject to disciplinary action as determined by the Athletic Department Committee identified below. Such discipline may result in suspension, the length of which shall be determined by the Athletic Department Committee in consultation with the coach. Established procedures will be followed in this disciplinary action. Additional action may be taken by the head coach. The Athletic Department Alcohol and Illegal Drug Policy Committee shall be composed of the athletic director, assistant athletic director, senior women's administrator, a non-coaching member of the department, and two student-athletes (one male and one female) as chosen by the athletic department. (Two alternate student-athletes will be available to serve on the committee should the player being disciplined and a committee member be from the same team.) The committee will be formed at the beginning of the academic year. Any disciplinary action taken for inappropriate activity by coaches will be carried out by the administration of the college. "I need to realize that I judge myself by my best intentions but that I am judged by my worst acts." "I need to realize that pain is inevitable but suffering is optional. And that I have as much control over my attitudes as my actions." The Athletic Department fully supports the hazing policy of the college as printed in the college Handbook/Directory. Concordia College is an institution of higher education devoted to excellence in the liberal arts and to the people of the community, state, and the nation. A part of that mission is fulfilled by the college's commitment to the development of students through academic, co-curricular and extracurricular activities. In keeping with its commitment to a positive academic and social environment, and in accordance with Minnesota State Law (Public Post-Secondary Education Section: 135A.155), Concordia College unconditionally opposes any hazing. Concordia College's goal is that every student on this campus would be free from the humiliation and danger of hazing. well as the college. This action will be determined by a Departmental Committee composed of the athletic director, assistant athletic director, senior women's administrator, a non-coaching member of the department, and two student athletes (one male and one female) as chosen by the athletic department. (Two alternate student athletes will be available to serve on the committee should the player being disciplined and a committee member be from the same team.) The committee will be formed at the beginning of the academic year. Established procedures will be followed in this disciplinary action. If a student-athlete chooses to file a grievance against an individual or group, it should be reported to the athletic director or the Director of Student Programming. If requested, every effort will be made to protect the identity of the person/s reporting the grievance. It is possible that a student may initially voluntarily agree to participate in an initiation activity that he/she may later decide was an unacceptable hazing activity, and, therefore, that student still has the right to file a complaint within a reasonable period of time. It should be noted that a grievance need not be filed for disciplinary action to occur. It is also a person's responsibility to report anticipated hazing activities to the coach or athletic director to avoid potential problems. "I need to realize that I don't have to be sick to get better. And that every single day brings opportunities to improve my character." "I need to realize that kind words really matter but that it takes a conscientious effort to be kind. And that thoughtless comments and badly timed criticisms can cause serious hurt." "I need to realize that happiness is much deeper and enduring than pleasure. And that I am solely responsible for my own happiness." 1. When a team travels by bus or in a single vehicle which carries a team, a coach will ride that bus or vehicle to provide control and assistance should any situation occur which requires action by a college employee. 2. When there is a caravan of two or more vehicles leaving a common site at the same time, those vehicles will travel together to the destination in order to provide assistance, if needed, and safety for the group. 4. Student athletes shall not make long distance calls from their hotel/motel rooms. NCAA regulations do not permit the college to pay for these charges. 5. Movie rentals by student athletes or coaches while staying in a hotel/motel will not be paid by the college. 6. Head coaches will identify their rules and expectations for road trips to team members at the beginning of the sports season. If there are questions on situations which may be specific to a particular team, they should be discussed with the athletic director. Concordia College has insurance coverage through Koster Insurance Agency to cover athletic related injuries that result in medical expenses. This overage is secondary coverage for intercollegiate athletes and club sports participants, not for intramurals. If you have your own medical insurance coverage or if you are covered under your parent's medical plan, then all your injury related claims should be submitted to your insurance carrier first. Then, immediately file a claim form with Koster Insurance Agency. This policy will start after the first $500 has been paid either by your Primary Insurance or the athlete/Club Sport participant. 1) Request a claim form from Don Bruenjes or Anna Bratsch, Athletic Department. Please answer ALL questions, sign, and return to Don or Anna. NOTE:Be sure to state the correct date of injury and use that date consistently with all providers you see with regard to your injury. An athlete must see the trainer within 30 days of injury. Koster requires notice of an injury within 30 days of its occurrence. 2) Don or Anna will forward your completed claim form to Dawn Current, Business Office, for processing directly with the insurance company. At this point, we will be sending in just the claim form...no itemized bills, etc. 3) IF YOU HAVE OTHER INSURANCE COVERAGE, submit all your injury related medical bills to your insurance FIRST! If the total of all your bills is less than $500.00, no further action is necessary. However, if the total is at least $500.00, please bring all itemized statements (not balance due statements) along with the Explanation of Benefits (EOB's) from your insurance company TO THE BUSINESS OFFICE. We will then submit the remaining balance(s) to Koster for payment consideration. 4) IF YOU DO NOT HAVE OTHER INSURANCE and the total of your injury related medical bills is at least $500.00, then bring all your itemized statements (not balance due bills) TO THE BUSINESS OFFICE and we will submit them to Koster for payment consideration. NOTE: The first $500.00 of these bills will be your responsibility. If you have any additional questions, you can contact Dawn Current in the Business Office at 299-3150. You can also contact the insurance representative directly with your questions by calling Dan Buckley, Koster Insurance Agency, at 1-617-770-9889 ext 221 or e-mail dbuckley@kosterins.com. The following information is needed prior to the beginning of each season for which the student-athlete is participating in. Failure to have this information on file in the athletic training room will delay the student-athlete from participating. For liability reasons, the student-athlete will not be allowed to participate without a completed file. The NCAA requires all student-athletes to have an athletic physical exam the first year of participation. This is to be completed the summer between their senior year of high school and first year of college. A completed physical with the doctor's signature will be kept in the athlete's file throughout his/her college career. A medical history form must be filled out each year prior to the athletic season. First year student-athletes will need family medical history as well as personal medical history including dates of major injuries, surgeries, and immunizations. An update form will be used after the first year to document any injuries that have occurred during the previous year. Medical or health insurance information is needed prior to each season as mandated by the NCAA. These forms are to be turned in annually with updates including provider, policy number, group number, and policyholder. Concordia College has a $500 deductible per athletic injury for athletes injured during their athletic season. The athlete, along with the ATC, will fill out a claim form within 30 days of the injury. This form is submitted to the Business Office along with the student-athlete's primary insurance Explanation of Benefits. The claim cannot be filed until all paperwork is complete in the Business Office. Team physicians provide a service to all student-athletes in the athletic training room on a weekly basis free of charge. Any outside appointments and/or treatments by physicians and physical therapists are the athlete's financial responsibility. Ice baths will be drained at 6:15 p.m. No Exceptions!! Athletes practicing later than 6:30 p.m. will need to do ice baths the following day. Ice will be provided on the field/s and/or facility for practices running past 6:30 p.m.
During the October and February overlap practices, the athletic training staff will not be available past 9:30 p.m., unless a competition is taking place. There will be no athletic training coverage/services for practices on Sunday. If there is a game on a Monday, coverage will be provided for the practice if scheduled after 1:00 p.m. on Sunday. This is subject to the athletic trainer. · If an injury or illness occurs outside of practice or the athletic training room hours, call 9-1-1, if necessary, or seek medical assistance at a walk-in clinic, emergency room, or health care center on campus. · All freshman and transfer athletes must have a physical completed and turned into the health center prior to the first practice. These athletes must complete an insurance form and first year participation form. Please note that a copy of the insurance card must be included with the insurance form. These forms can be found by going to the following website: gocobbers.com and clicking on the "Athletic Training" link. All new athletes must take the ImPACT exam, (concussion software), prior to their first practice. Athletes excluded from taking the ImPACT exam are those involved in cross-country, track and field (pole vaulters must take exam), swimming (divers must take exam), golf, and tennis. All returning athletes must complete an insurance form and returning athlete form. Please note that a copy of the insurance card must be included with the insurance form. These forms must be completed prior to the first practice. · Athletes will be responsible for providing their own pre-wrap for taping purposes. Pre-wrap can be purchased from the training room for $2.00/roll. · Athletes will be responsible for providing their own tape for spadding. A roll of tape from the training room is $2.00. · Athletes will be financially responsible for any equipment checked out to them from the training room that is not returned after use of it. · Out-of-season athletes wishing to be taped will be charged $2.00 per ankle. 1. The Concordia College Athletic Training Room is a medical facility and should be treated as such. 2. Entry to the Athletic Training Room without an ATC present is prohibited. NO EXCEPTIONS!!! 3. To help ensure cleanliness and safety in the Athletic Training Room, a cleansing shower must be taken prior to any treatments or services. This includes electrical stimulation, ultrasound, stretching, strapping on ice, wound care, and whirlpool use. 4. No equipment is allowed in the Athletic Training Room, including but not limited to: cleats/spikes, helmets, pads, balls, etc. 5. Shoes must be removed before entering the Athletic Training Room. No cleats or spikes allowed. 6. No treatment will be given before an injury is evaluated and a report filed. 7. Injuries must be reported the day they occur or at the earliest time possible. 8. Athletes must legibly sign-in on the daily treatment log before any services will be given. 9. Appropriate clothing must be worn at all times – shorts and shirt minimum. 11. Cell phone usage prohibited unless permission is granted. 12. Television/Radio use is a privilege, not a right. The Athletic Training Staff reserves the right to restrict its use. 13. Improper language and horseplay will not be tolerated in any way. 14. No chewing tobacco allowed. 15. No food or drink allowed. Water is acceptable in spill proof containers. 16. No self-treatments or taping allowed. 17. No equipment may be taken from the Athletic Training Room without consent of an ATC. 18. It is everyone’s responsibility to keep the Athletic Training Room clean. Ice bags must be emptied in a sink or cold whirlpool prior to discarding bag, trash placed in the proper receptacles, and bags/personal items stowed in a locker or in the hallway. 19. Treat Athletic Training Staff and fellow student-athletes with respect.